When we have to quickly jot down something, all we do is catch hold of the nearest pen or pencil and scribble the information on a piece of paper. This task simple as it may seem has quite a tedious past. Do you remember the first time to have had to hold a pencil correctly? Ask your parents and they may be able to tell you the troubles they went through to make sure you help the pencil the right way! If your little ones have started scribbling your clean white walls with colors and markers, maybe it's time for them to learn the art of writing the first letter of the alphabet. But it is no cake walk to teach a toddler how to hold a pencil correctly. Kids are driven by instincts and if they grow a preference grip that is not helpful to write properly, you may have a really hard time making the toddler unlearn the practice later on. So without much ado, go through these simple tips to teach your toddler to hold a pencil correctly. The best way to teach your kid the right way to get a grip on the pencil is with two fingers and a thumb. This also commonly called the tripod grip. Demonstrate how to do this and ask them to follow suit. It is quite natural to hold it this way. So once your kid watches you do it, the grip will be easily acquired by your toddler. While the thumb acts like a pad to balance one part of the pencil, the middle finger should be placed on the opposite side for a pinch hold. And then it is the role of the index finger. This finger should be positioned on top of the pencil. Toddlers may hold the pencil in a tight fist grasp that may end in breaking the pencil tip. A good practice is to teach them to bend the fingers slightly instead of tightening the grip around the pencil. Give them a large sheet of paper or surface to write on so that they can figure out their own comfortable writing position. Not all of us write in the same style. So let your toddler explore and figure out the best and most comfortable way to write with a pencil. Toddlers do not understand what pressure is required to create a mark on the paper with a pencil. Sometimes there will be no mark because they will not apply any pressure, and often you will get an unending collection of broken pencil tips because they would have used their might on the little wood stick. Handhold your toddler and help them understand the correct pressure that is required to produce writing on paper. Show them the difference of light or no mark and dark lines. 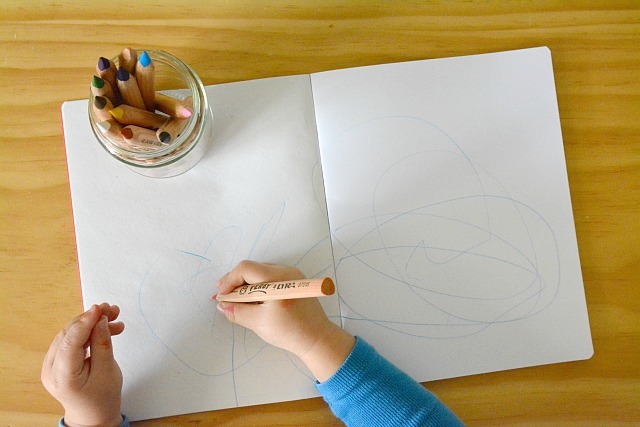 A long pencil may be easier to hold, but when it comes to writing, toddlers may not be able to get the right grip and pressure on a long stick. If it is too small they may be uncomfortable holding it. 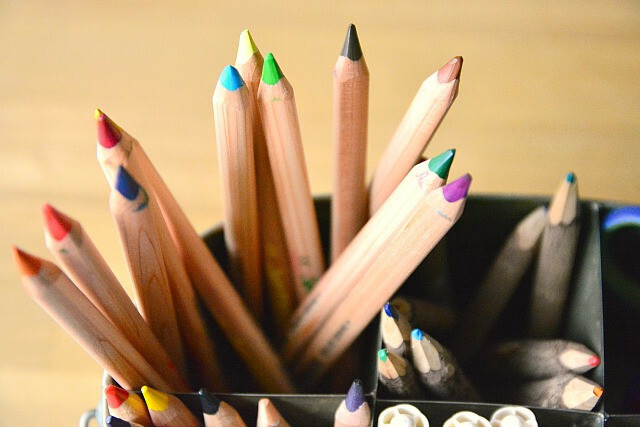 Use a medium length pencil that your little one can hold firmly. Toddlers are ever-inquisitive to learn new things. 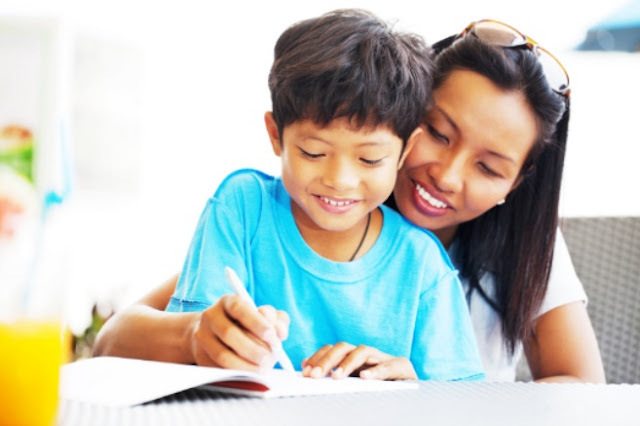 So let your kid feel naturally drawn towards scribbling and writing. Don't set a deadline for him or her to begin the art of writing. Take toddlers to day care centres where there is a peer group they can interact with. Toddlers learn the most by observing and following other children. So let them see what the other kids are drawing and writing. Give them the exposure and the little ones will be ready to get on with the print! Sometimes you may feel that your toddler is not interested in writing or even holding the pencil. Don't pull your hair over this. Toddlers around the age of 3 to 4 are very restless and any task that requires them to sit still for a few minutes at a stretch are easily discarded by the restless little souls. 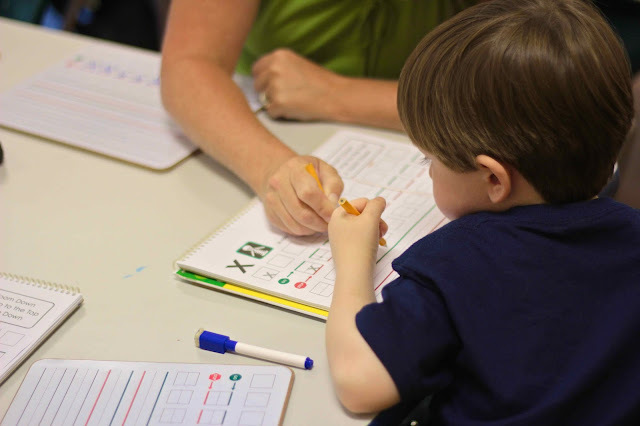 If you want to develop an interest in your toddler towards writing, focus on improving their fine motor skills. Engage them in kitchen work to make the process fun while they hone their skills. From opening pea pods to cutting beans with a safe pair of scissors will all help in the process of increasing their attention span and improving their fine motor skills. All these practices will take some time to develop. So it is important for you as a parent to have patience. It is okay to let go when your toddler is not in the mood to right. Set out at a slow pace and teach your toddler in a fun way instead of making it a compulsory chore for your tiny tot! And I am sure you will be awarded success soon.